This activity consists of knowing the millenary culture of the community of Huilloc, Patacancha and Rumira-Sondormayo, with an alive culture and ancestral customs. We will visit one of the 3 villages. It’s an opportunity to share the good living, the “allin kausay”. 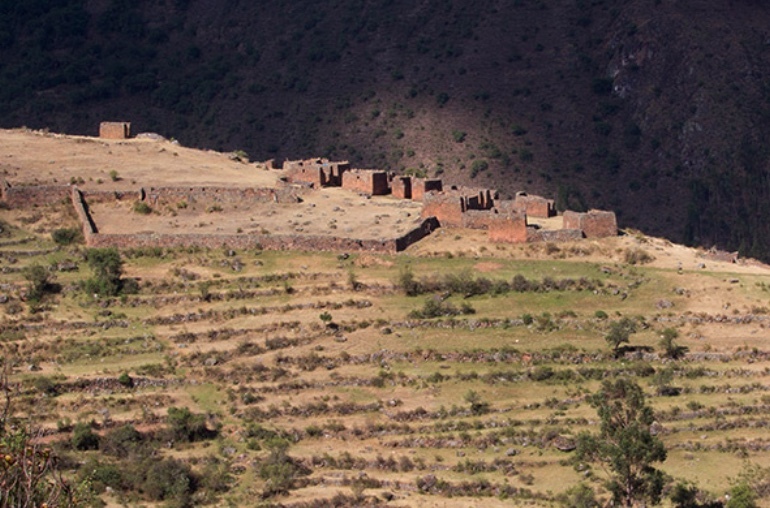 During the visit of the community we’ll appreciate the thousand stairs (terraces) of the age of Incas, placed at 3600 meters of altitude. 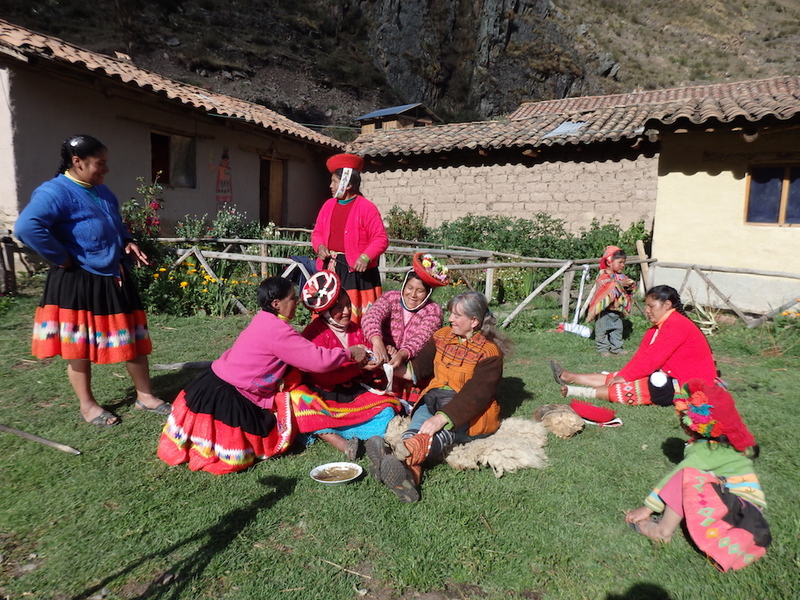 During the activity we’ll participate in andean rituals and show our respect for the land through offers to Pachamama. Accompanied of traditional chants we can harmonize our relation with nature, understanding us as a part of a whole. We will see the importance of the andean medicine, where we will get to know medicinal plants and their healing properties and wild flora and fauna. We will learn about agricultural labor, and it’s millenary techniques of harvesting. Cusco, provincia de Urubamba, distrito de Ollantaytambo, comunidad campesina de Huilloc, Patacancha, Rumira Sondormayo, 3900m. 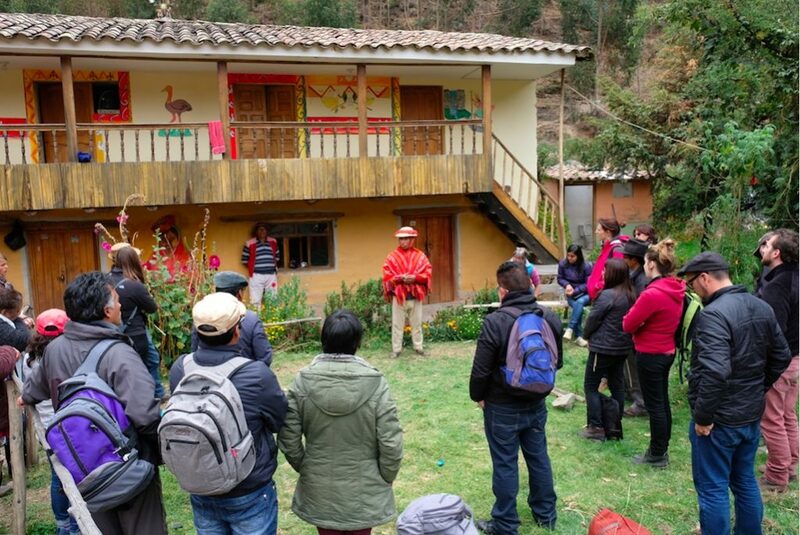 Stay one night in a family-house including dinner, breakfast and a traditional fire, where we dedicate us for singing, narrations from legends and learn about the cosmovision of the andean communities. Price: S/.62 per person. Challwaccocha is one of the most remote communities. There we can appreciate their alive culture and divine scenery. It has a route of 7 colored lagoons (Puka cocha, Yana cocha, Q’umir cocha, Blue cocha, Challwacocha, Qello cocha, Yuraq cocha) with animals like: alpaca, llama, sheep and wild birds like the huallata, yana vicu, wild ducks, etc. A space to feel the force of nature and connect with it. 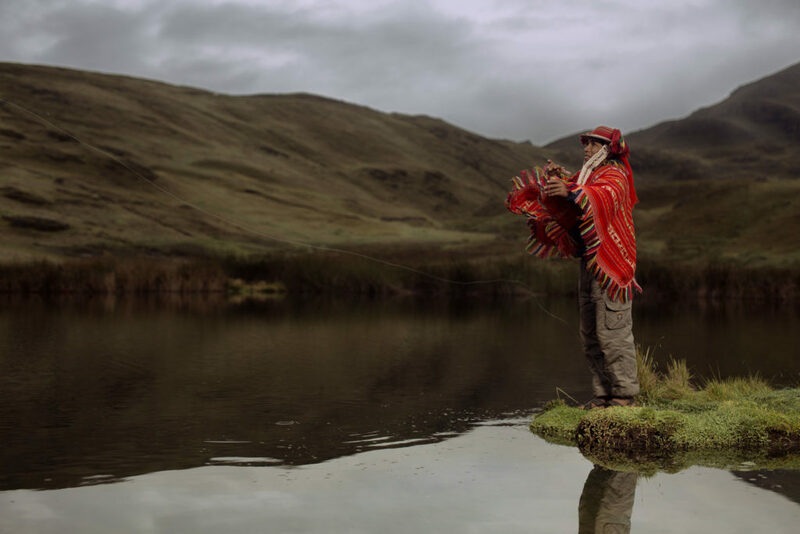 When getting to the community we will participate in the andean ritual Haywarikuya, offerings to pachamama at the edge of the lagoon and they will show us traditional fishing as well as you can participate in agricultural work with andean tools, while learning about crops. To finish we will taste typical foods done with organic products from the area. 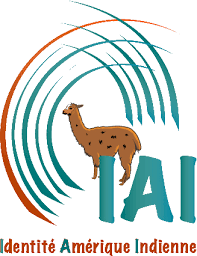 The activity begins in Patacancha where there exists two options to reach the community; in car (included in the price) or horse (additional S/ . 25 per person). – Stay one night in a family-house, including dinner and breakfast. Price: S/.62 per person. This is an activity to develop our artistic and creative skills. We will share a day among knitting woman in a traditional comunity. We will participate in the elaboration of typical clothes like: ponchos, blankets, pollera, montera and huatos. We can learn about how to sheering sheep, the process of coloration with natural tints, etc. To finish the day, we help you to make your own wristband. You will also be able to buy different products if you want. – Stay one night in a family house. Including dinner and breakfast. Price: S/. 62 per person. 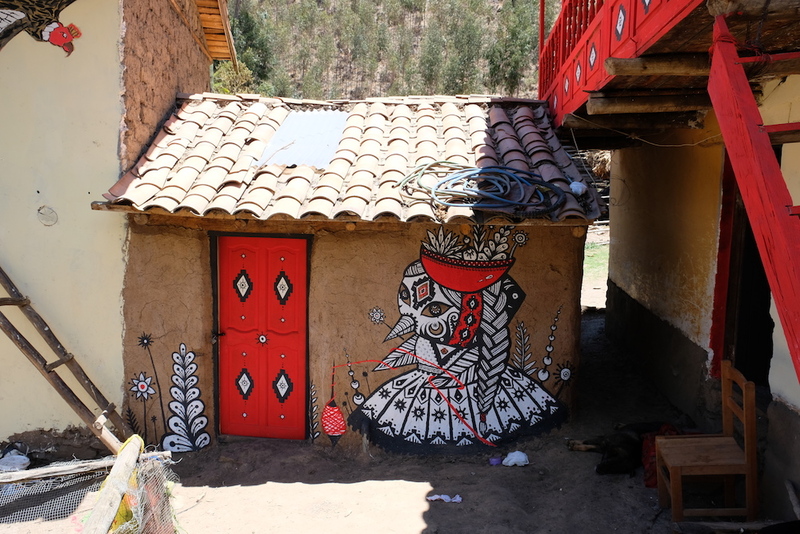 During the meeting of muralists in October 2017, artists from all over the world painted in the communities of Huilloc, Patacancha and Rumira-Sondormayo. They painted the vision and experience of the host family, the identity of the community or the defense of indigenous rights. Feel welcome in the community through a typical lunch. 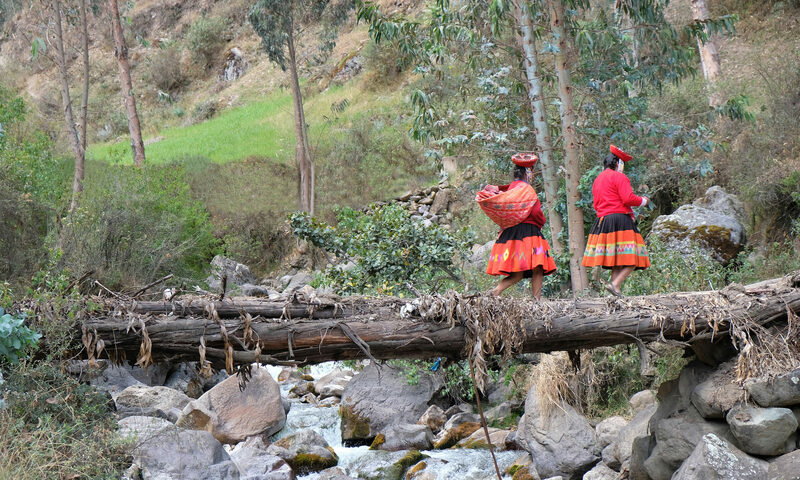 We begin the visit with a walk appreciating the millenary culture and walking through the archeological sites of the Incas in Pumamarka and Markaccocha. During the walk, a family will teach us about medicinal plants, their healing properties and about wild flora and fauna. Aditionally you can learn words in quechua. When reaching the archeological site of Marcaccocha we will begin the day doing a ritual to our spirits that will grant us pass and will protect us. Accompanied with the traditional dance “wallata” and music. Finally a family will wait for us with the traditional dish “pachamanca” done in the heat of preheated stones, based on alpaca meat, native potato, oca, año, vegetable salad and muña tea. You can also participate in traditional games like Sinkuy. In this experience we will get closer to the andean knowledge of agriculture, which is done in harmony and respect towards pachamama. We will lern about seeds, fertilizers, soil, sowing, and harvest. They will also teach us about the production of potatoes and vegetables of the region. 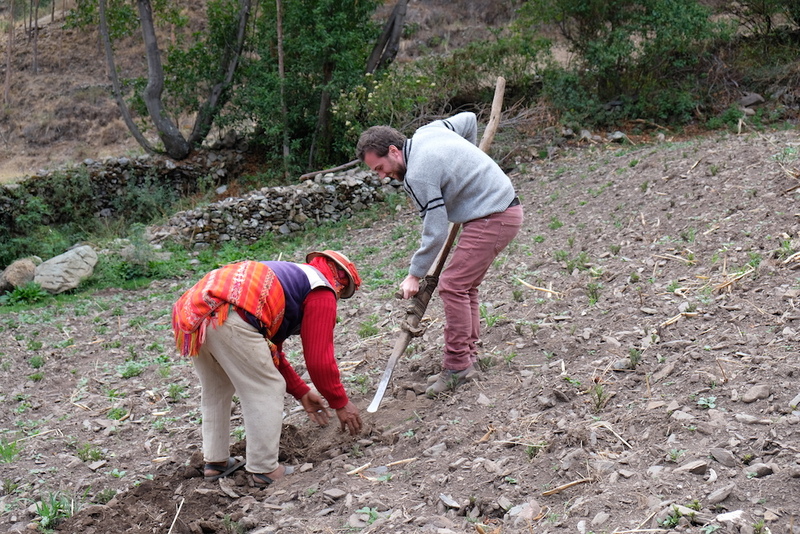 We will put into practice this knowledge and you will learn to use andean tools in the field, if you want. – Stay one night in a family house. Including dinner and breakfast. Price:: S/. 62 per person. An important aspect of every community is to preserve and restore the health of its population. 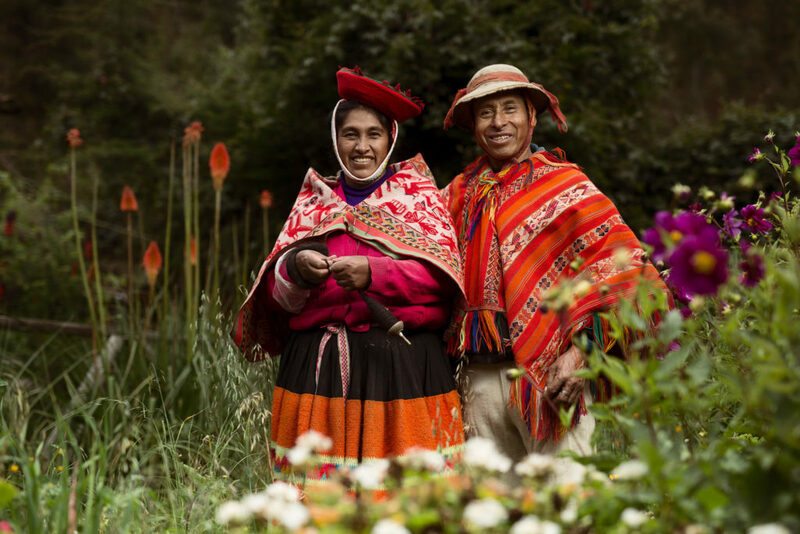 Through andean medicine and the ancestral knowledge about plants, the families were able to do to this in an integral way. It is an experience directed to everyone interested and passionate about the topic, where we will take on the concept of health/sickness for communities, their cosmovision, the spirits as allies, nature as the driver and regenerating energy. We will learn to identify plants, collect them, and get to know their function in the different organic or spiritual effects, as well as preparing them and doing rubs. “Allin kawsay, Sumaq kawsay” is the way of good living of the Inkas. It is a way of looking at life, and feel our way of life different. This cosmovision we can receive and learn from it during our stay in a family house of a traditional family. The family will welcome you with a baptism Inka. 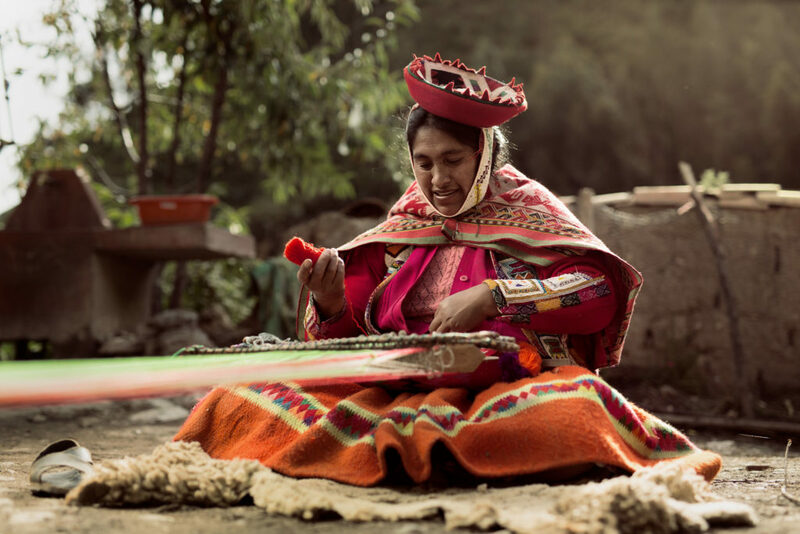 During your stay, the family will share with you her knowledge about weaving, agriculture, quechua language and cooking of typical food. The price includes breakfast, lunch and dinner with the family. For groups of 3 persons or more, we will give you a discount of 20 percent, each person. Vegetarian food is available on request.